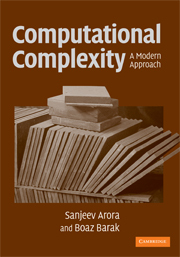 This is a textbook on computational complexity theory. It is intended as a text for an advanced undergraduate course or introductory graduate course, or as a reference for researchers and students in computer science and allied fields such as mathematics and physics. See also Amazon page for the book.